I woke up this morning with a craving for latkes. I know it is the first night of Hannukah tonight, and I guess my inner holiday chef is calling the shots. I won’t post a recipe here because I used a boxed mix and improvised out of my freezer, but they are wonderful nevertheless. I love applesauce and sour cream on my potato pancakes, but since I had no applesauce, I “made do” with some of my homemade apple butter. It was so delicious! 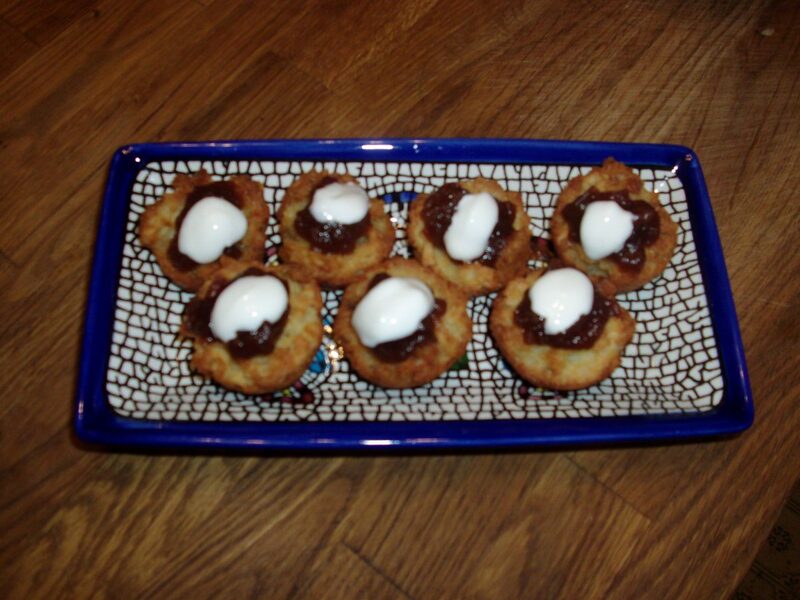 This entry was posted in Gluten-Free, Holidays, Love Your Veggies!, Peak of the Season and tagged apple butter, fried in oil, Hanukkah, latkes on December 16, 2014 by Chef Christy.